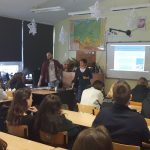 On the 24th of January dr Joanna Stępień together with PhD student Tomasz Mikulski visited high school no. IX in Gdynia Orłowo. The purpose of the visit was to conduct a lecture for the 3rd grades students entitled “Who shapes the city and how?”. 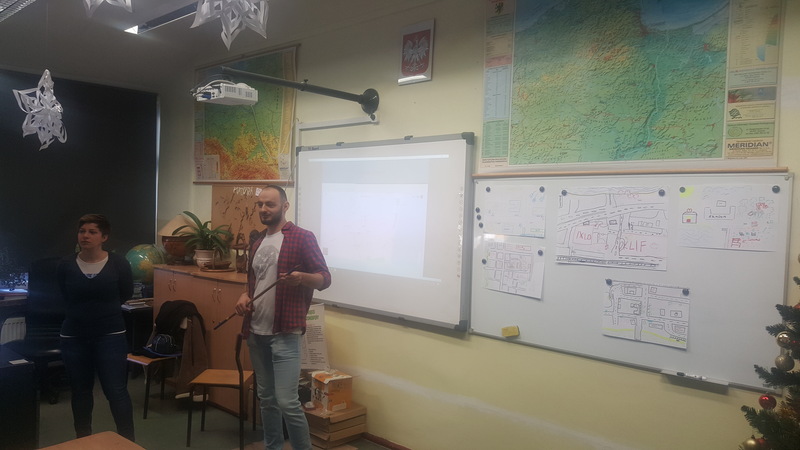 During the meeting, Joanna and Tomasz discussed the issues related to spatial planning of cities, spatial order, cities’ organization and their functioning. The students actively participated in the discussion with teachers, asking questions and sharing with their thoughts and ideas. After a lecture and discussion, the workshop has begun, during which the instructors introduced to the group the idea of mental (imaginary) maps. 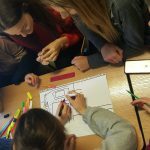 Afterwards, the students were divided into smaller groups and worked on the maps of their own perception of the school’s surroundings. At the end of the meeting, our staff discussed the maps elaborated by students. We hope that the meeting was an interesting experience for our younger colleagues and an opportunity to familiarize with the style of conducting classes at the university. We wish all students of the high school no. 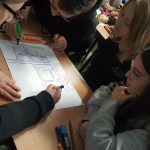 IX in Gdynia many successes during their education!